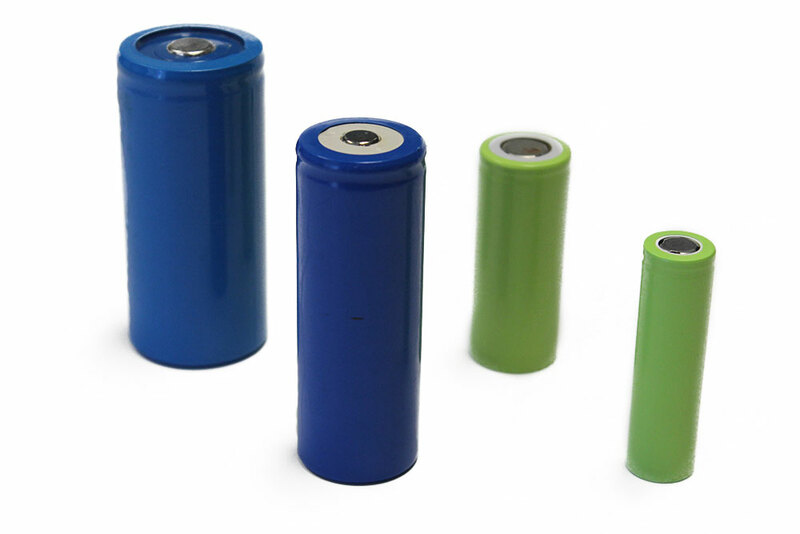 The lithium iron phosphate battery is a type of rechargeable battery based on the original lithium ion chemistry, created by the use of Iron (Fe) as a cathode material. LiFePO4 cells have a higher discharge current, do not explode under extreme conditions and weigh less but have lower voltage and energy density than normal Li-ion cells. Iron (Fe) is an intrinsically safer cathode material than Cobalt (Co). The Fe-P-O bond is stronger than the Co-O bond so that when abused (short circuited, overheated, etc.) the oxygen atoms are much harder to remove. This stabilization of the redox energies also helps fast ion migration. Only under extreme heating, generally over 8000C, does breakdown occur which prevents the thermal runaway that typical Li-Ion cells are prone to. LiFePO4 is highly resilient during oxygen loss which typically results in an exothermic reaction in other lithium cells. No PCM needed, but recommended to maintain cycle life and capacity.